The after movie for Gamma Fest was recently released and gives you a real insight into what makes it a popular event and why you should consider adding it to your festival calendar next year. Gamma Fest 2017 in St Petersburg apparently drew a 7500 crowd and featured a mixed bag of avantgarde experimental music and art exhibitions between the 14 and 16 July. It showcased different genres of music, from academic neoclassicism to house music, and experimental deep techno from the likes of Regis, Rrose, Terrence Fixmer, Vatcian Shadow, Xosar, Kettenkarussell and more. The action took place in unique locations such as the Stepan Razin Brewery, the first Russian brewery founded in 1795, and this movie offers a great look back at the action. It shows the industrial setting, the construction of the event, offers a behind-the-scenes look at some of the installations, and snippets of the many different performances. 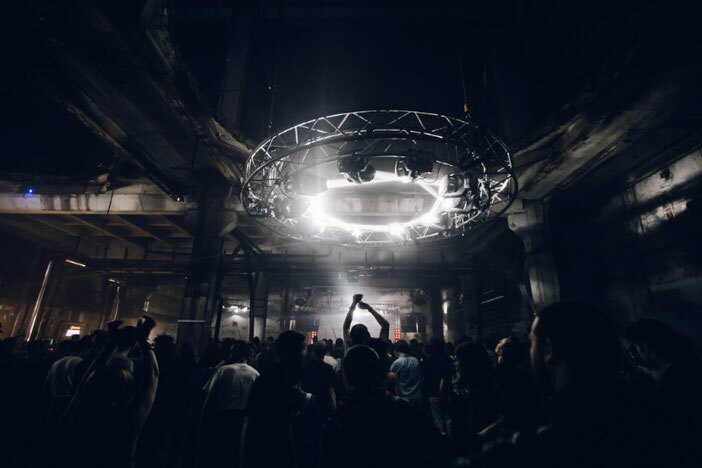 Gamma Festival offers a two-day rave experience, balanced against the exhibition space, allowing you to relax and lose yourself amongst the many sculptures and installations as the arts and techno worlds collide. With the 2018 dates now announced, which are 19-22 July 2018, Gamma Festival aims to cement its place on the international festival circuit. GAMMA FESTIVAL 2017 - official aftermovie from m_division on Vimeo.